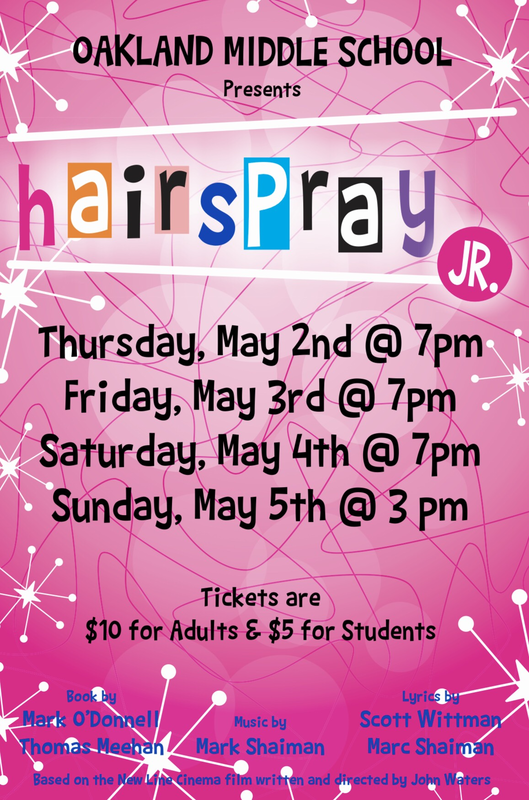 Oakland Middle School Presents Hairspray Jr.
Make plans now to attend a performance of Hairspray Jr. Performances will be held Thursday, May 2nd @ 7 pm, Friday, May 3rd @ 7 pm, Saturday, May 4th @ 7 pm, and Sunday, May 5th @ 3 pm. Tickets are $10 for adults and $5 for students. We hope to see you there!